The bi-annual video game speed running event Games Done Quick has raised over 2 million dollars for charity. The event ran for a week straight and featured a huge variety of quick speedruns, from staples like the Zelda games to quirky entries like SpongeBob SquarePants. If you missed the action on Twitch, check out Games Done Quick’s YouTube channel here. Unlike a lot of other charities that mainly focus on treatment after the fact, the Prevent Cancer Foundation focuses on raising awareness and conducting research to help educate the populace on ways to reduce risk of certain types of cancer. The Games Done Quick event raised $2,215,733.30 for the foundation over 181 speedruns. There were 33592 donors who made a total of 43349 donations. Games Done Quick has concluded, but those wishing to donate to a great cause can do so here. 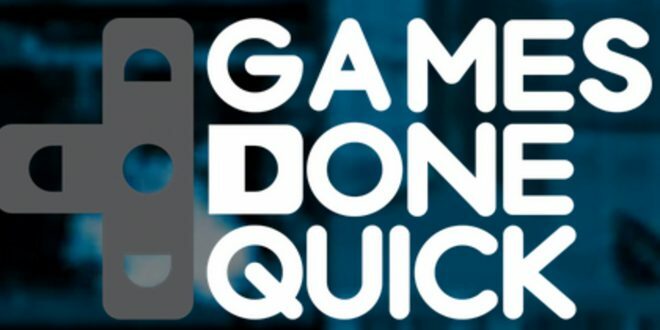 Games Done Quick will be back in the Summer (which usually raises money for Doctors without Borders) with more money raised for a good cause as the gaming community bands together for a week of non-stop speedrun action. Next Did Samsung Just Leak the Design of the Galaxy S8?